Holidaying in an idyllic resort on the island of R union, wealthy Parisians Martial and Liane Bellion are enjoying the perfect family moment with their six-year-old daughter. Turquoise skies, clear water, palm trees, a warm breeze. Then Liane Bellion disappears from her hotel room. The door to her room is open, the walls and sheets are spotted with blood. A hotel employee swears he saw Martial in the corridor at the time Liane went missing, and he becomes the number one suspect. But then Martial also disappears, along with his daughter. An all-out manhunt is declared across the island. Could Martial really have killed his wife? 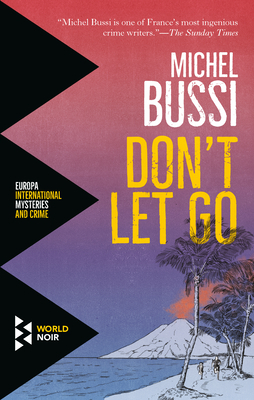 For fans of Gone Girl and The Fugitive, Bussi's fast-paced, atmospheric thriller does not disappoint. Michel Bussi is a professor of geopolitics and one of France's bestselling authors. His novels have been published in 35 different countries. He is also the author of After the Crash (Hachette, 2016) and Black Water Lilies (Hachette, 2017), and Time Is a Killer (Europa, 2018). Sam Taylor is the translator of HHhH, by Laurent Binet, and the author of the novels The Island at the End of the World, The Amnesiac, and The Republic of Trees. He lives in France and the United States.